Who says summer is the only time to go camping? Fall brings cool weather, gorgeous colors, and of course, fewer bugs. And lucky for you, Indiana has some of the best fall travel destinations in the country. Indiana RV Rental and Sales wants to help you find the perfect place to go on an RV excursion this fall. The Indiana Dunes has a little bit of everything: gorgeous views, plenty of space for camping, hiking trails, and of course beautiful Lake Michigan. Even if the water is too cold, the Indiana Dunes are still a great way to enjoy the last warm days of the year. Named the 2015-2016 Top Destination RV Park by Good Sam, Lake Rudolph Campground & RV Park is open every day from May to October. And it’s conveniently located next door to Holiday World & Splashin Safari, so this makes a great destination for families! 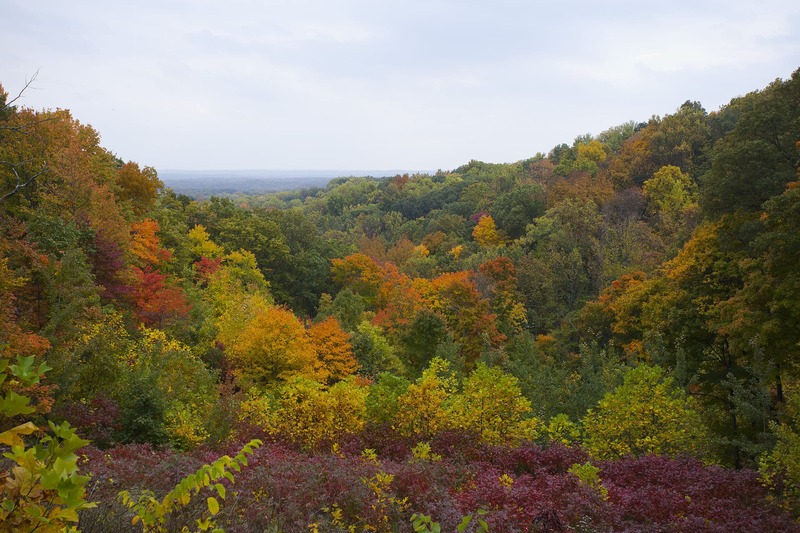 The fall is the perfect time to visit this Indiana State Park. Clifty Falls has seasonal waterfalls and hiking trails that offer breathtaking views and highlight the rugged splendor of Madison, Indiana. Enjoy a long drive along the Ohio River, and enjoy the picturesque landscapes. If you enjoy hiking, then Turkey Run State Park is the place to go this fall. With miles of scenic beauty to explore and deep canyons to traverse, this Indiana treasure is a must see in the changing colors of fall. Not only is this the largest state park in Indiana, but it may be the most beautiful too! Brown County State Park perfectly captures the spirit of autumn in Indiana. Besides the miles of rolling hills and astonishing foliage to explore, Brown County also has plenty of activities for the outdoor enthusiast. Fall is the best time to explore Indiana, and an RV rental is the best way to enjoy it! Call Indiana RV Rental and Sales today at (260) 571-2436, or request a quote online.